MiniPOL - Specialized Desanders Inc.
A compact mighty solution for maximum sand capture on wells with a small footprint. The MiniPOL is a smaller, more compact unit in comparison to the SynPOL. 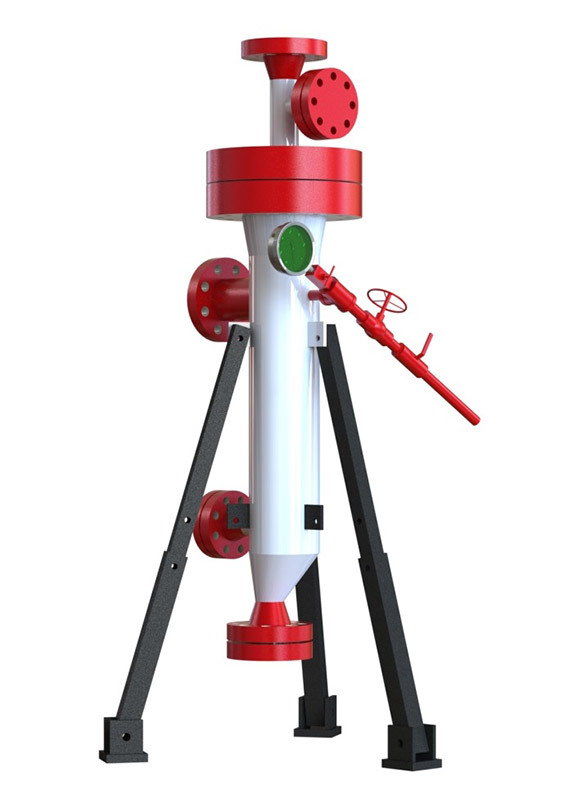 Intended for the low sand capacity wells that don’t produce much sand and want to ensure maximum capture. This small package provides easy tie in and is ideal for wells that have a smaller footprint and lower production rates. Clean out is simple and quick, by using a valve dump out technique. Operators can clean out the desander without having to shut in for clean outs. MiniPOL is the long term, portable solution for your well operation.